Pirate Care - How do we imagine health care for the future we want? A recent trend to reimagine the systems of care for the future is based on many of the principles of self-organization. From the passive figure of the patient — an aptly named subject, patiently awaiting aid from medical staff and carers — researchers and policymakers are moving towards a model defined as people-powered health — where care is discussed as transforming from a top-down service to a network of coordinated actors. At the same time, for large numbers of people, to self-organize around their own healthcare needs is not a matter of predilection, but increasingly one of necessity. In Greece, where the measures imposed by the Troika decimated public services, a growing number of grassroots clinics set up by the Solidarity Movement have been providing medical attention to those without a private insurance. In Italy, initiatives such as the Ambulatorio Medico Popolare in Milan offer free consultations to migrants and other vulnerable citizens. The new characteristic in all of these cases is the fact that they frame what they do in clearly political terms, rejecting or sidestepping the more neutral ways in which the third sector and the NGOs have long presented care practices as apolitical, as ways to help out that should never ask questions bigger than the problems they set out to confront, and as standing beyond left and right (often for the sake of not alienating potential donors and funders). Rather, the current trends towards self-organization in health care are very vocal and clear in their messages: the care system is in crisis, and we need to learn from what we know already. One thing we know is that the market or the financialization of assets cannot be the solution (do you remember when just a few years ago Occupy was buying back healthcare debts from financial speculators, thus saving thousands Americans from dire economic circumstances? 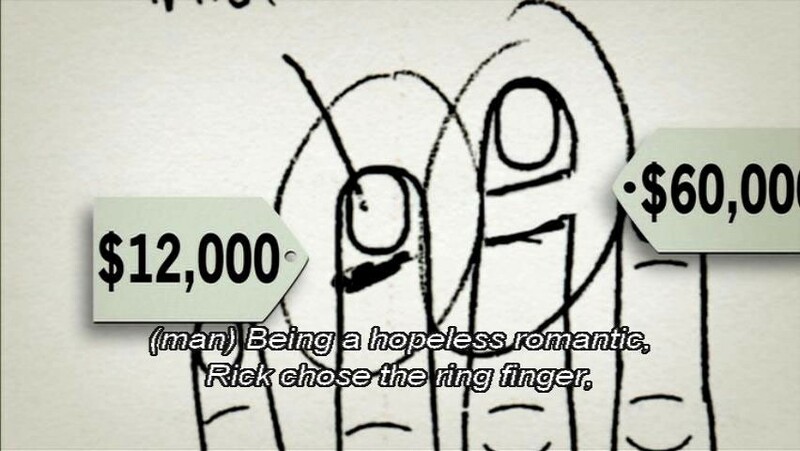 Or that scene from Michael Moore’s Sicko, the documentary where a guy has to choose which finger to have amputated because he does not have enough cash for saving both?). Another thing we also know is that we cannot simply hold on to past models of managing the public sector, as most national healthcare systems were built for the needs of the last century. Administrations have been struggling to adapt to the changing nature of health conditions (moving from a predominance of epidemic to chronic diseases) and the different needs of today’s populations. And finally, we most definitely know that to go back to even more conservative ideas that frame care as a private issue that should fall on the shoulders of family members (and most often, of female relatives) or hired servants (also gendered and racialised) is not the best we can come up with. Among the many initiatives that are rethinking how we organize the provision of health and care in ways that are accessible, fair, and efficient, there are a number of actors — mostly small organizations — who are experimenting with the opportunities introduced by digital technologies. While many charities and NGOs remain largely ignorant of the opportunities offered by technology, these new actors are developing DIY devices, wearables, 3D-printed bespoke components, apps and smart objects to intervene in areas otherwise neglected by the bigger players in the care system. These practices are presenting a new mode of operating that I want to call ‘pirate care’. Piracy and Care are not always immediately relatable notions. The figure of the pirate in popular and media cultures is often associated with cunning intelligence and masculine modes of action, of people running servers which are allowing people to illegally download music or movie files. One of the very first organizations that articulated the stakes of sharing knowledge was actually named Piratbyrån. “When you pirate mp3s, you are downloading communism” was a popular motto at the time. And yet, bringing the idea of a pirate ethics into resonance with contemporary modes of care invites a different consideration for practices that propose a paradigm change and therefore inevitably position themselves in tricky positions vis-à-vis the law and the status quo. I have been noticing for a while now that another kind of contemporary pirate is coming to the fore in our messy society in the midst of many crises. This new kind of pirate could be best captured by another image: this time it is a woman, standing on the dock of a boat sailing through the Caribbean sea towards the Mexican Gulf, about to deliver abortion pills to other women for whom this option is illegal in their country. Women on Waves, founded in 1999, engages in its abortion-on-boat missions every couple of years. They are mostly symbolic actions, as they are rather expensive operations, and yet they are potent means for stirring public debate and have often been met with hostility — even military fleets. So far, they have visited seven countries so far, including Mexico, Guatemala and, more recently, Ireland and Poland, where feminists movements have been mobilizing in huge numbers to reclaim reproductive rights. According to official statistics, more than 47,000 women die every year from complications resulting from illegal, unsafe abortion procedures, a service used by over 21 million women who do not have another choice. As Leticia Zenevich, spokesperson of Women on Waves, told HuffPost: “The fact that women need to leave the state sovereignty to retain their own sovereignty ― it makes clear states are deliberately stopping women from accessing their human right to health.” Besides the boat campaigns, the organization also runs Women on Web, an online medical abortion service active since 2005. The service is active in 17 languages, and it is helping more than 100,000 women per year to get information and access abortion pills. 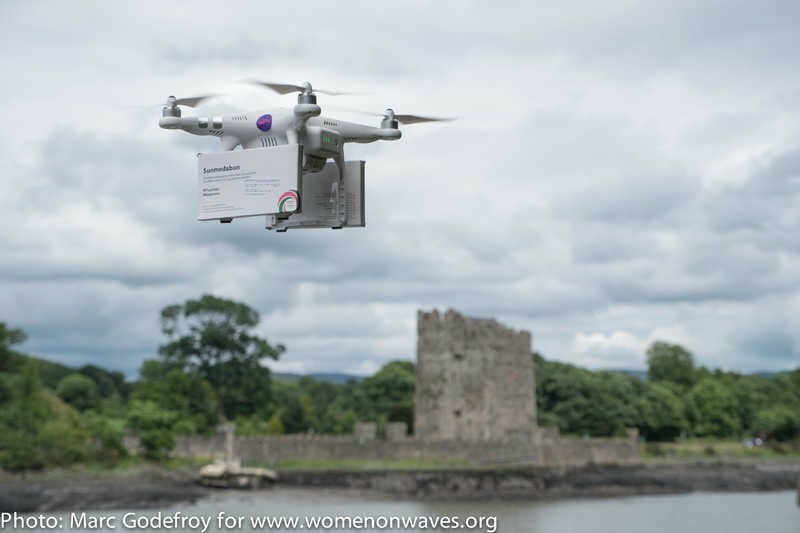 More recently, Women on Waves also begun experimenting with the use of drones to deliver the pills in countries impacted by restrictive laws (such as Poland in 2015 and Northern Ireland in 2016). Women on Waves are the perfect figure to begin to illustrate my idea of ‘pirate care’. By this term I want to bring attention to an emergent phenomenon in the contemporary world, where more and more often initiatives that want to bring support and care to the most vulnerable subjects in the most unstable situations, increasingly have to do so by operating in that grey zone that exists between the gaps left open by various rules, laws and technologies. Some thrive in this shadow area, carefully avoiding calling attention to themselves for fear of attracting ferocious polemics and the trolling that inevitably accompanies them. In other cases, care practices that were previously considered the norm have now been pushed towards illegality. Consider for instance the situation highlighted by the Docs Not Cops campaign that started in the UK four years ago, when the government had just introduced its ‘hostile environment’ policy with the aim to make everyday life as hard as possible for migrants with an irregular status. Suddenly, medical staff in hospitals and other care facilities were supposed to carry out document checks before being allowed to offer any assistance. 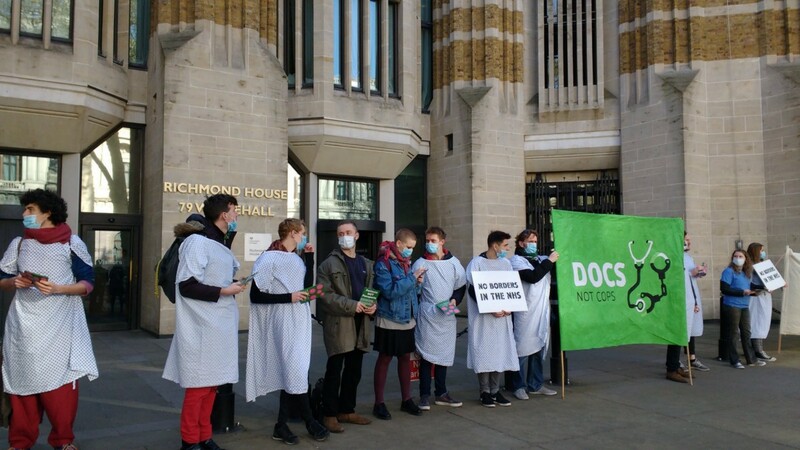 Their mobilization denounced the policy as an abuse of mandate on the part of the Home Office and a threat to public health, given that it effectively discouraged patients to seek help for fear of retaliations. Another sadly famous example of this trend of pushing many acts of care towards illegality would the straitjacketing and criminalization of migrant rescuing NGOs in the Mediterranean on the part of various European countries, a policy led by Italian government. Yet another example would be the increasing number of municipal decrees that make it a crime to offer food, money or shelter to the homeless in many cities in North America and Europe. This scenario reminds us of the tragic story of Antigone and the age-old question of what to do when the relationship between what the law says and one what feels it is just becomes fraught with tensions and contradictions. Here, the second meaning of ‘pirate care’ becomes apparent as it points to the way in which a number of initiatives have been responding to the current crisis by mobilizing tactics and ethics as first developed within the hacker movement. As described by Steven Levy in Hackers, the general principles of a hacker ethic include sharing, openness, decentralization, free access to knowledge and tools, and an effort of contributing to society’s democratic wellbeing. To which we could add, following Richard Stallman, founder of the free software movement, that “bureaucracy should not be allowed to get in the way of doing anything useful.” While here Stallman was reflecting on the experience of the M.I.T. AI Lab in 1971, his critique of bureaucracy captures well a specific trait of the techno-political nexus that is also shaping the present moment: as more technologies come to mediate everyday interactions, they are also reshaping the very structure of the institutions and organizations we inhabit, so that our lives are increasingly formatted to meet the requirements of an unprecedented number of standardised procedures, compulsory protocols, and legal obligations. And thus, in resonance with the tradition of hacker ethics, a number of ‘pirate care’ practices are intervening in reshaping what looking after our collective health will look like in the future. 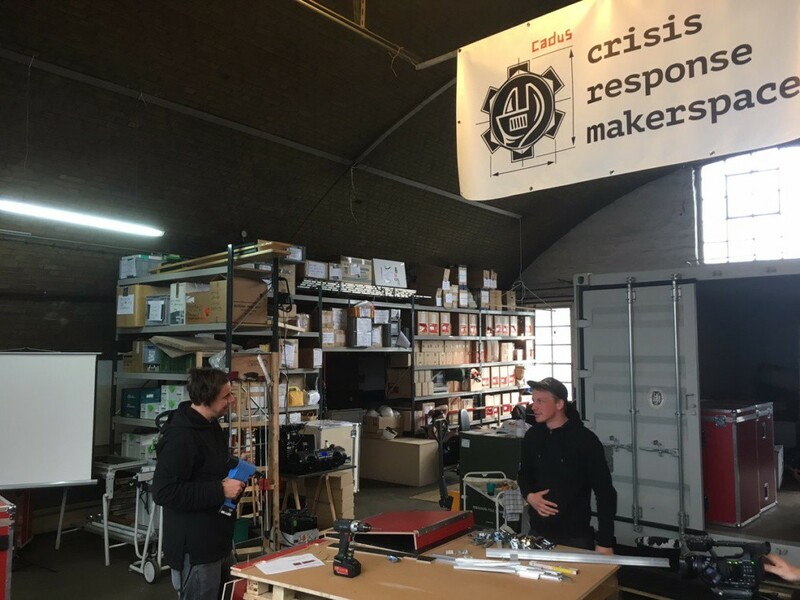 CADUS, for example, is a Berlin based NGO which has recently set up a Crisis Response Makerspace to build open and affordable medical equipment specifically designed to bring assistance in extreme crisis zones where not many other organizations would venture, such as Syria and Northern Iraq. After donating their first mobile hospital to the Kurdish Red Crescent last year, CADUS is now working to develop a second version, in a container this time, able to be deployed in conflict zones deprived of any infrastructure, and a civil airdrop system to deliver food and medical equipment as fast as possible. The fact that CADUS adopted the formula of the makerspace to invent open emergency solutions that no private company would be interested in developing is not a coincidence, but emerges from a precise vision of how healthcare innovations should be produced and disseminated, and not only for extreme situations. “Open source is the only way for medicine” — says Marcus Baw of Open Health Hub — as “medical software now is medicine”. Baw has been involved in another example of ‘pirate care’ in the UK, founding a number of initiatives to promote the adoption of open standards, open source code, and open governance in Health IT. The NHS spends about £500 million each time it refreshes Windows licenses, and aside from avoiding the high costs, an open source GP clinical system would be the only way to address the pressing ethical issue facing contemporary medicine: as software and technology become more and more part of the practice of medicine itself, they need to be subject to peer-review and scrutiny to assess their clinical safety.Moreover, that if such solutions are found to be effective and safe lives, it is the duty of all healthcare practitioners to share their knowledge with the rest of humanity, as per the Hippocratic Oath. To illustrate what happens when medical innovations are kept secret, Baw shares the story of the Chamberlen family of obstetricians, who kept the invention of the obstetric forceps, a family trade secret for over 150 years, using the tool only to treat their elite clientele of royals and aristocracy. As a result, thousands of mothers and babies likely died in preventable circumstances. As the ‘pirate care’ approach keeps proliferating more and more, its tools and modes of organizing is keeping alive a horizon in which healthcare is not de facto reduced to a privilege.